“Labeiki ya Zaynab,” chanted Iraqi Shia fighters as they swayed, dancing with their rifles before TV news cameras in Baghdad on June 13. They were apparently getting ready for a difficult fight ahead. For them, it seemed that a suitable war chant would be answering the call of Zaynab, the daughter of Imam Ali, the great Muslim Caliph who lived in Medina 14 centuries ago. That was the period through which the Shia sect slowly emerged, based on a political dispute whose consequences are still felt until this day. That chant alone is enough to demonstrate the ugly sectarian nature of the war in Iraq, which has reached an unprecedented highpoint in recent days. Fewer than 1,000 fighters from the Islamic State of Iraq and the Levant (ISIL) advanced against Iraq’s largest city of Mosul on June 10, sending two Iraqi army divisions (nearly 30,000 soldiers) to a chaotic retreat. The call to arms was made by a statement issued by Iraq’s most revered Shia cleric, Grand Ayatollah Ali al-Sistani, and read on his behalf during a Friday prayer’s sermon in Karbala. “People who are capable of carrying arms and fighting the terrorists in defense of their country (..) should volunteer to join the security forces to achieve this sacred goal,” the statement in part read. The terrorists of whom Sistani speaks are those of ISIL, whose numbers throughout the region is estimated to be at only 7,000 fighters. 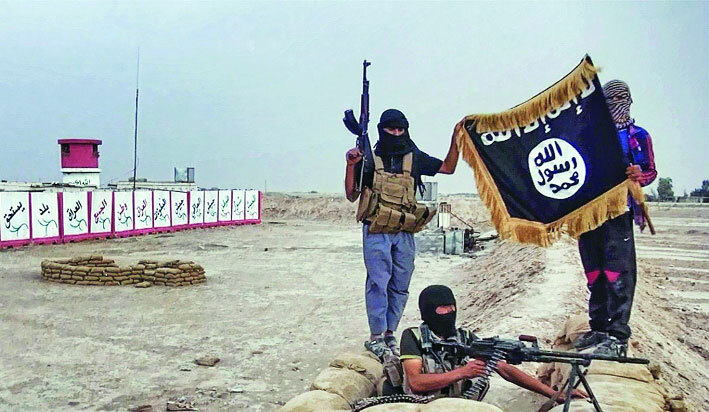 ISIL fighters are well organized, fairly well-equipped and absolutely ruthless in their conduct. To secure their remarkable territorial gains, they quickly moved south, closing in on other Iraqi towns: They attacked and took over Baiji on June 11. On the same day, they conquered Tikrit, the town of former Iraqi President Saddam Hussein, where they were joined by ex-Baathist fighters. For two days, they tried to take over Samarra, but couldn’t, only to move against Jalawala and Saaddiyah, to the east of Baghdad. It is impossible to verify reports of what is taking place in towns that fall under the control of ISIL, but considering their notoriously bloody legacy in Syria, and ISIL’s own online reporting on their own activities, one can expect the worse. Within days, ISIL was in control of a large swathe of land which lumped together offers a new map fully altering the political boundaries of the Middle East that were largely envisioned by colonial powers France and Britain nearly a century ago. What the future holds is difficult to predict. The US administration is petrified by the notion of getting involved in Iraq once more. It was its original meddling, at the behest of the notorious neoconservatives who largely determined US foreign policy during George W. Bush’s administration that ignited this ongoing strife in the first place. They admitted failure and withdrew in Dec 2011, hoping to sustain a level of influence over the Iraqi government under Shia Prime Minister Nuri al-Maliki. They failed miserably as well and it is now Iran that is an influential foreign power in Baghdad. In fact, Iran’s influence and interests are so strong that despite much saber-rattling by US President Barack Obama, the US cannot possibly modify the massively changing reality in Iraq without Iranian help. Reports in US and British media are pointing to possible US-Iranian involvement to counter ISIL, not just in Iraq, but also in Syria. When Bush led his war on Iraq in order to fight al-Qaeda, the group simply didn’t exist in that country; the war however, brought al-Qaeda to Iraq. A mix of hubris and ignorance of the facts ? and lack of understanding of Iraq’s history ? allowed the Bush administration to sustain that horrible war. Hundreds of thousands of Iraqis perished in an immoral military quest. Those who were not killed, were maimed, tortured, raped or fled into a borderless Iraqi odyssey. The Americans toyed with Iraq in numerous ways. They dissolved the army, dismissed all government institutions, attempted to restructure a new society based on the recommendations of Pentagon and CIA analysts in Washington D.C. and Virginia. They oppressed the Sunni Muslims, empowered Shia, and fed the flame of sectarianism with no regard to the consequences. When things didn’t go as planned, they tried to empower some Shia groups over others, and armed some Sunni groups to fight the Iraqi resistance to the war, which was mostly made of Sunni fighters. The consequences were most bloody. Iraq’s civil war of 2006-07 claimed tens of thousands to be added to the ever-growing toll caused by the war adventure. No sham elections were enough to remedy the situation, no torture technique was enough to suppress the rebellion, and no fiddling with the sectarian or ethnic demographics of the country was enough to create the coveted “stability”. In Dec 2011, the Americans ran away from the Iraq inferno, leaving behind a fight that was not yet settled. What is going on in Iraq right now is an integral part of the US-infused mayhem. It should be telling enough that the leader of ISIL, Abu Baker al-Baghdadi, is an Iraqi from Samarra, who fought against the Americans and was himself held and tortured in the largest US prison in Iraq, Camp Bucca for five years. It would not be precise to make the claim that ISIL started in the dungeon of a US prison in Iraq. The ISIL story would need to be examined in greater depth since it is as stretched as the current geography of the conflict, and as mysterious as the masked characters who are blowing people up with no mercy and beheading with no regard to the upright values of the religion they purport to represent. Yet, there can be no denial that the US ignorant orchestration of the mass oppression of Iraqis, and Sunnis in particular, during the 2003 war until their much touted withdrawal was a major factor in ISIL formation, and the horrendous levels of violence the extremist group utilizes. The writer is Managing Editor of Middle East Eye.